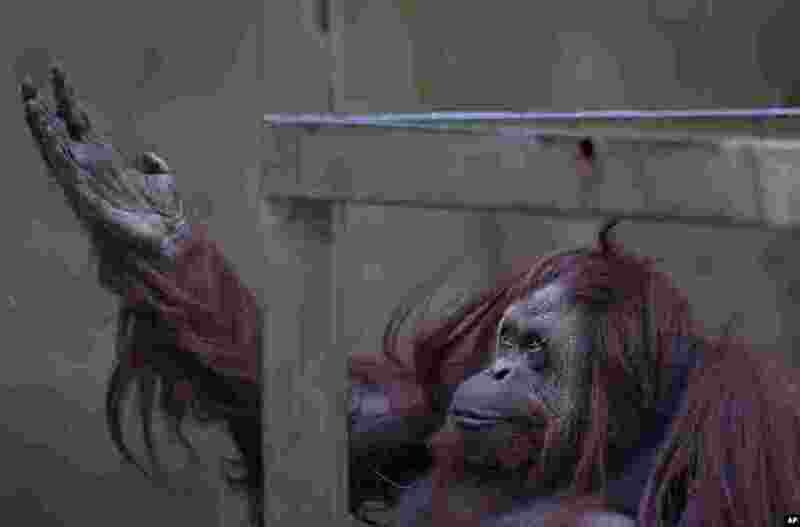 ١ An orangutan named Sandra sits in her enclosure at Buenos Aires' Zoo in Argentina. ٢ Belgian Prime Minister Charles Michel (L) reacts as activists throw fries and mayonnaise on him during an anti-government protest by feminist activist group LilithS (formerly the Belgian branch of Femen) at a press conference at the Cercle de Wallonie in Namur. 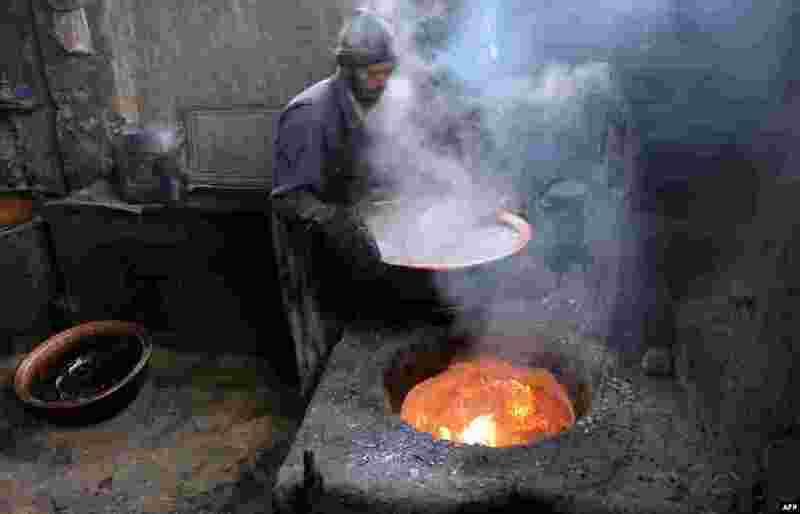 ٣ An Afghan employee works at a traditional sweets factory in Ghazni. 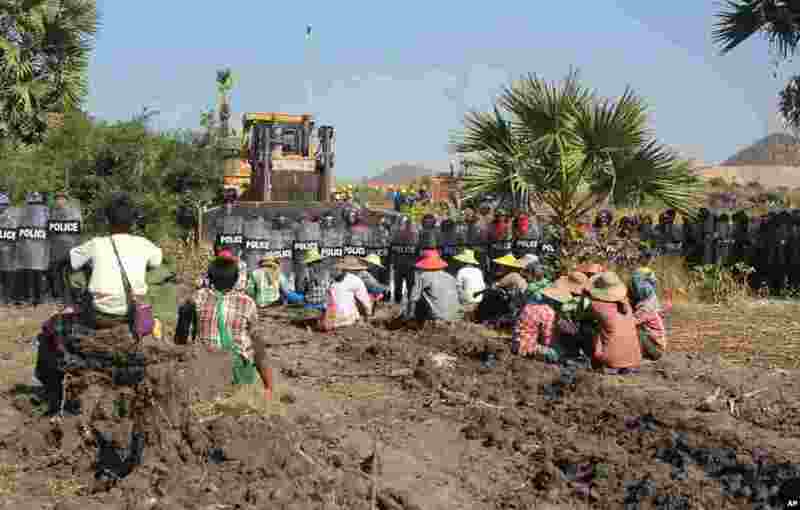 ٤ Farmers confront riot police at Letpadaung copper-mine, Monywa in northwestern Myanmar. A woman was fatally shot during a crackdown on protesters at the controversial Chinese-backed copper mine, activists and an opposition lawmaker said.